To truly appreciate the beauty and diversity of Southeast Asia, hop off the bus and head for the road less traveled. Trek through hill tribes and exotic markets on foot or find yourself pedaling through the flat lands of the Mekong Delta on our adventure tours in Vietnam, Cambodia and Laos. Our dedicated adventure expert is committed to creating adventure package tours that will show you the real Indochina! Hot air balloons are unique from all other forms of flight because there is no physical sensation of movement or perception of wind. You are traveling with the gentle air currents that layer the sky. In contrast to standing on a building or structure, there is no fear of height, because your eyes have no linear perspective to judge distance from the ground. Balloons usually travel at heights of 500 to 1500 feet, similar to the surrounding hill tops. The feeling is one of peace and tranquility as the earth seems to slowly descend and rotate below you. 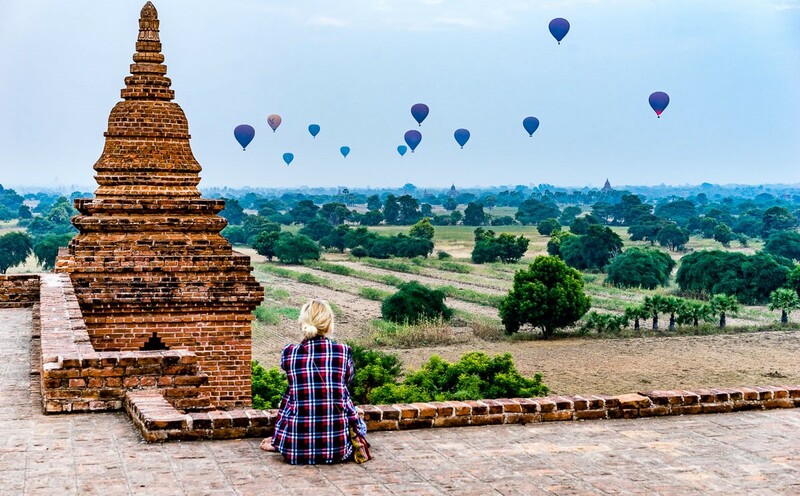 There is no better way to take one of our air balloon tours in Cambodia and Myanmar or see other Southeast Asia tours here. With powdery beaches, azure waters and picturesque landscapes, Asia has a long established reputation as a dazzling seaside paradise and is one of best beach holiday destinations, offering chances for newlyweds or family travel to enjoy sun, sea, sand. The warm hospitality, laid-back nature of the locals and abundance of fresh seafood further add to the allure. 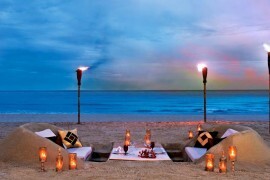 So if you are looking for an idyllic family vacation or a romantic honeymoon in Southeast Asia's pristine beaches? 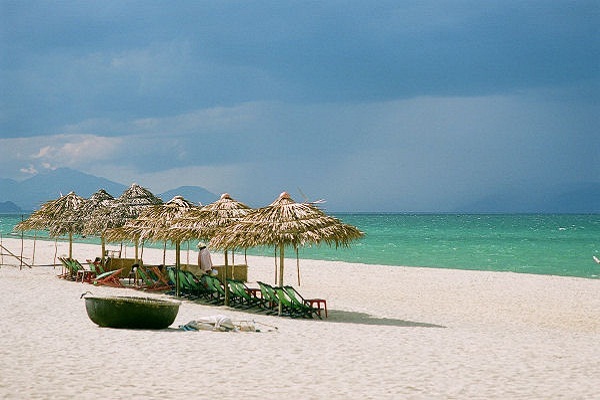 then Viet Holiday Travel is here to tailor make an unforgettable beach break for you. 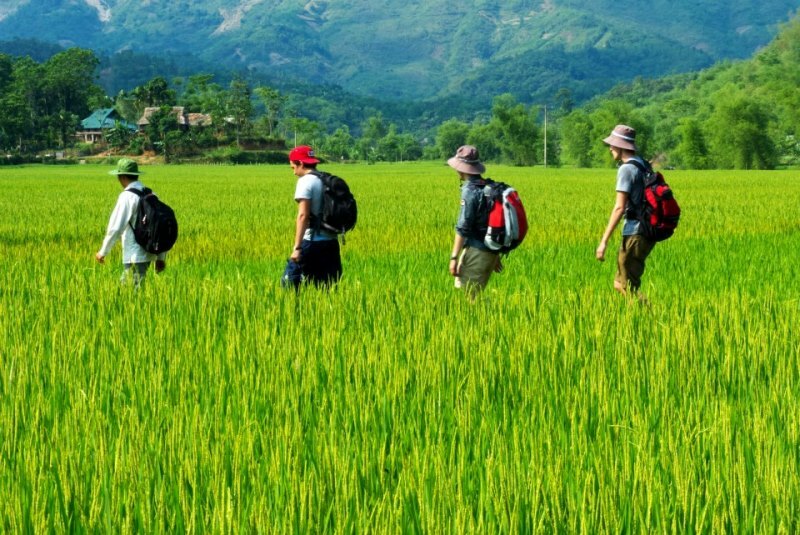 Our classic tours encompasses the perfect itinerary for anyone who, on a customized independent basis, wants to see as much as possible in a limited amount of time and also wants to make sure they visit the key destinations located in Southeast Asia countries such as Vietnam, Cambodia, Laos, Myanmar and Thailand. Vietnam, Cambodia & Laos have plenty of opportunities for overseas energetic students & teachers to involve in community services. Either building traditional homes, schools and water reservoir or installing the water pipeline systems for the rural poor villages or associating with pagodas monks preparing meals for patients who have to suffer from serious diseases or volunteering to collect rubbish around the rural villages and even benefiting local communities directly from Eco or responsible travel are just a few of the voluntary & charitable programs in which Viet Holiday Travel gets involved in Vietnam, Cambodia and Laos. In combination with our volunteer work and community service projects, we offer many cultural & adventurous activities touring around the main sites, which can include cruising on Ha Long Bay, trekking in the hill tribal villages of Sapa, taking the train down to south to explore the ancient capital of Hue, making a vegetable garden in Hoian, hearing the historical stories about Vietnam war in Cu Chi tunnels, immersing in colorful floating market of Mekong Delta, discovering the majestic temples of Angkor complex in Siem Reap, seeing the monks collecting alms in Luang Prabang…all our community service trips to Southeast Asia and Indochina will be customized to meet your requirements and especially nothing short of "life - changing" experiences. 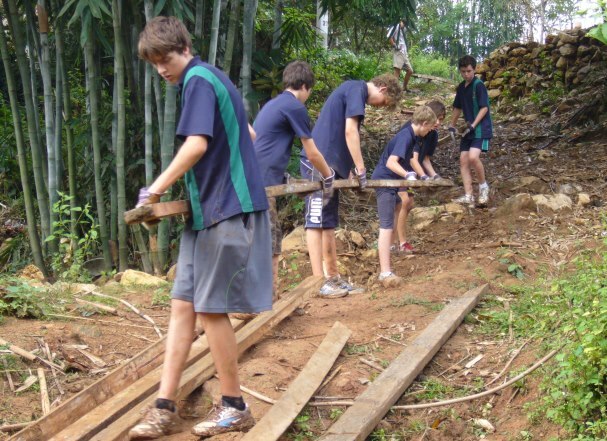 For more details on how we can fast provide overseas student trips and school groups with relevant and rewarding community development projects, community service ideas as well as volunteer programs in Vietnam, Cambodia and Laos, just contact us righ away at sales@vietholidaytravel.com. Viet Holiday Travel offers some of cycling tours that explore the amazing Southeast Asia's landscapes. The scenic coastlines of Thailand and Vietnam are perfect destinations for two-wheeled journeys while the magnificent Angkor temples and rustic Mekong vistas make impressive backdrops for a cycling adventures. Take in the sights and sounds, interact with the locals, and get a unique glimpse in to rural village life as you ride through Asia. Vietnam, Cambodia, Laos, Myanmar and Thailand are beautiful Southeast Asian nations, each with their own unique appeal. Diverse landscapes, stunning scenery, laid-back locals and delicious cuisine are common threads throughout, and our Southeast Asia day trips and tailor made holidays ensure that you’ll see the very best of each one you visit. Whether its tending to the fields in Tra Que, taking a boat ride on Tonle Sap Lake or meeting hill tribes in Chiang Rai, our day tours of Southeast Asia offer countless authentic travel experiences. 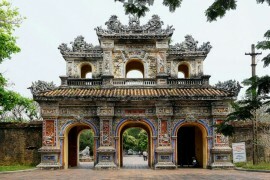 Get in touch with Viet Holiday Travel today to start planning your day tours of Southeast Asia. Traveling with Viet Holiday Travel to Southeast Asia, a wonderful destination for tropical family holidays. 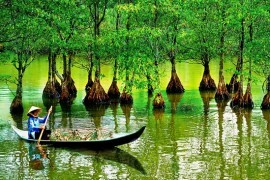 Whether it is cycling along rural back roads of Vietnam, trekking through Laos’ lush forests on an Elephant’s back or kayaking in the turquoise seas of Southern Thailand, basking in the magnificence of Myanmar’s sacred temples there is always something to delight the youngsters as well as the older members of the family. Share unforgettable moments with your loved ones in this fascinating region that is second to none. Which better way to experience Southeast Asia than a dedicated culinary tour to savor its tapestry of tastes, colors and smells? our food trips & culinary tours are specially designed for gourmet enthusiasts with an appetite for eating and adventure. Our food trails lead you into Bangkok’s streets to relish Thai desserts, prepare noodle soup alongside top Vietnamese chefs or mingle with the morning market crowds as you select local spices. 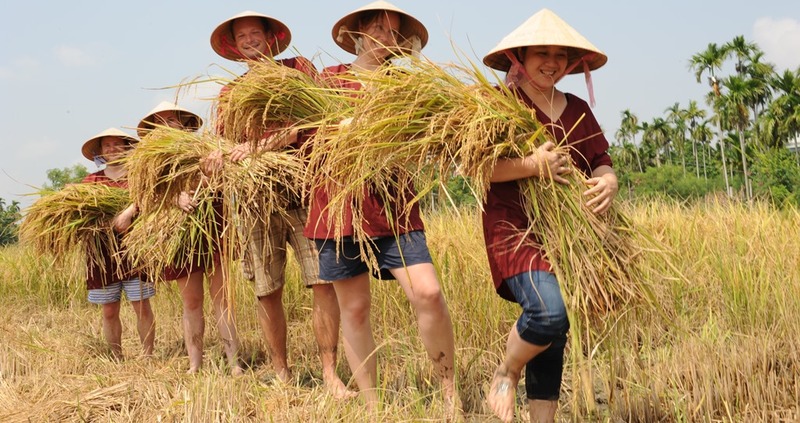 Book with Viet Holiday Travel, you will surely discover a flavorful cultural journey! We provide many package tours in Southeast Asia such as Vietnam, Cambodia, Laos, Thailand & Myanmar. Each country has its own unique appeal. Diverse landscapes, stunning scenery, laid-back locals and delicious cuisine are common threads throughout, and our tour packages in Southeast Asia ensure that you will see the very best of each one. 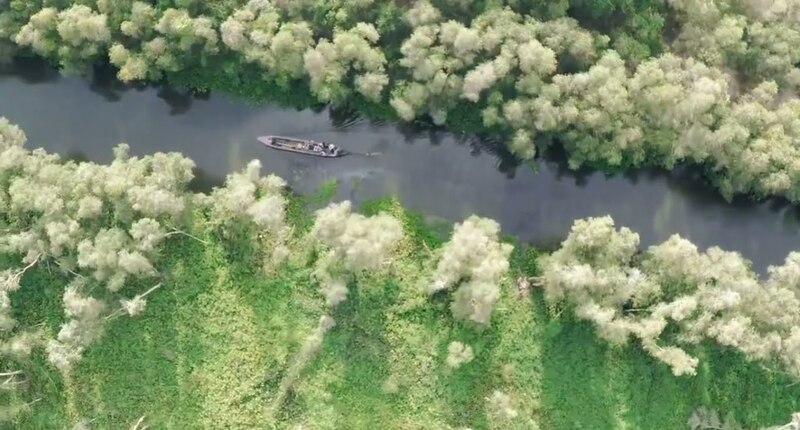 Whether its tending to the fields in Tra Que, taking a boat ride on Tonle Sap Lake or meeting hill tribes in Chiang Rai, our tours of Southeast Asia offer countless authentic travel experiences. 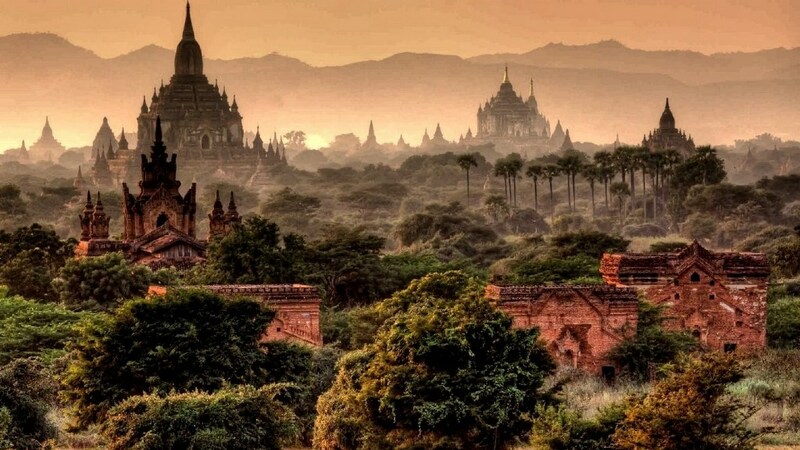 With stunning, palm-fringed beaches, clear, warm seas, delicious local food, friendly locals, breathtaking natural landscapes, rich culture & history, Southeast Asia offers so much diversity for student adventures & school tours. Study tours overseas do not only awaken student's sense and mind to different cultures and experiences but also help gain their educational knowledge through travel. When teachers partner with Viet Holiday Travel, they will give their students an immersive & educational experience at the lowest price guaranteed. And, with all inclusive tours everything is covered, from escorted tour guide to culturally rich activities, allowing every student to discover the Asia with confidence. As the result, students return home inspired, confident and more connected to the world around them. But this isn’t the end of their journey, it’s just a new beginning. The memories, experiences and discoveries they make abroad will continue to shape their perspective, as well as their future. It’s why we make our tours so easy to ensure that more teachers can give their students the opportunity to experience the world. Come experience a life changing journey now!